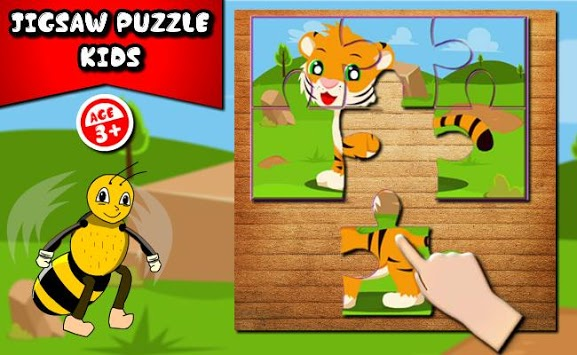 animals jigsaw puzzle : bee kids is the best game Real Jigsaw puzzle for build logical thinking, motoric, recognize shape, by playing the colorful picture cartoon animals, fun and snazzy, easy to use just drag and drop, have 4 difficult level : 4 pieces, 6 pieces 9 pieces and 25 pieces, Completety all Block Jigsaw puzzle and completely animal cards, collect them and learning animals name and bingo. 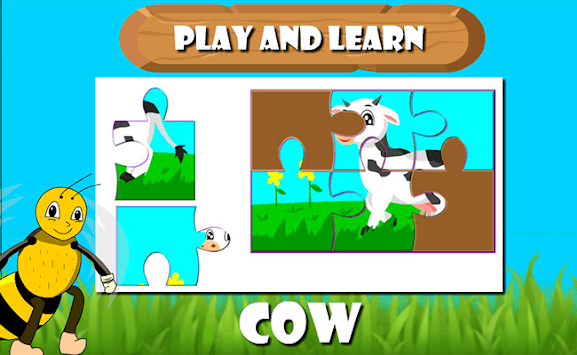 animals jigsaw puzzle : bee kids take many themes about animals in the wild and around us that like : the junior lion , paw pups run and patrol in field, jr. elephant play with water, bird fly in the sky, pinguin play in iceland,panda play with bamboo, shark in the sea, Mick the Mouse,the duck with princess jewel in head, royal knight pony horse,, and many more ! 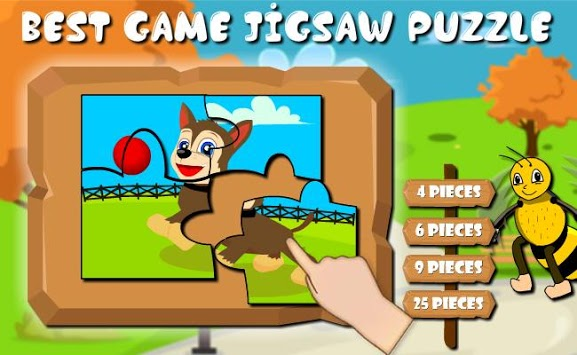 best game jigsaw puzzles for toddlers , preschool , kid (boy and girl).